Starting to “do life” again comes with two intense feelings for me; one of anxiety, the other of guilt. The anxiety started from the moment Teddy died. The feeling that something had just gone so incredibly, inconceivably, catostrophically wrong in our lives; knowing in that moment, that anything is indeed possible, and not in the good way that I had always believed that to work. That anxiety lives with me now, like a heavy weight around my neck; it’s never further than a breath or a thought away. Sometimes it doesn’t make its way into the very front of my mind, maybe not even for a few hours, it just lurks in the background. In that time I can pretend just to be me again; laughing and joking. I find myself becoming more outgoing again, talking confidently to people; old friends and new. Then, some days, it hits me. Full on, in the face. It’s on those days I don’t want to, can’t even, leave the house. For fear of what? I don’t actually know. I’ve learned to go with that feeling, don’t fight it; just accept it’s time to have a quiet day at home and keep myself busy with housework, writing or a new project in the house. Anxiety like this has ensured our home has never looked so good! Swings and roundabouts hey? On the days when the anxiety decides to give me a break, I generally have my other new emotion to deal with. Guilt. Now this is a bit like the “Mum guilt” I read and hear Mummy bloggers speaking about. You know, the one where they carry this constant layer of guilt on top of everything they do; because they are working, not working, doing too much of something, not doing enough of something; you know how it goes, and I know from friends that it’s a very real emotion indeed. 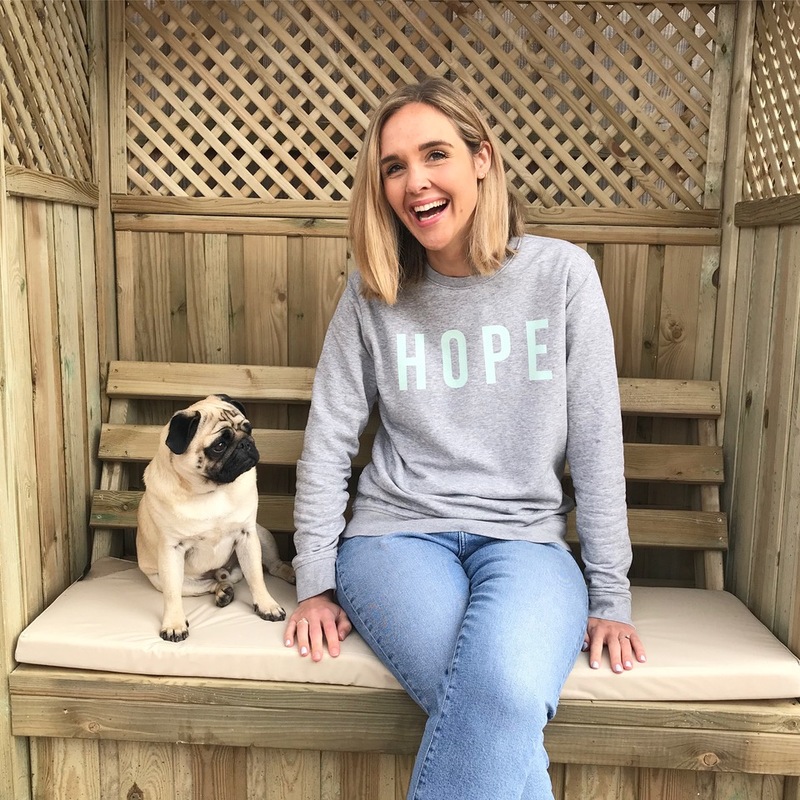 My “Mum guilt” is very different; and I think it’s been there constantly since I embarked on my mission of attempting to get back into the swing of “normal” (I hate that word) life. I feel guilty that I am happy, guilty that I’m laughing, guilty that I’m getting up and getting on with my life, guilty that we want another baby; guilty that it’s all done without Teddy. I’ve said so often that “life goes on”, whether we like it or not. The way I’ve seen it is I had a choice; to “Choose Life” (Yes George!) or to shut the world out and sit in a darkened room reflecting for eternity on how cruel life had chosen to be to us. I can tell you that as much as the early days of grief had beckoned me to do the latter, that I decided I wasn’t going to; not ever. As I now try to stay true to that word and that way of thinking, the guilt engulfs me. I’m not sure if it will ever leave, or if this is just my life now. Can you feel guilty forever? Will I end my life feeling guilty that I lived the rest of my years out without Teddy and I actually laughed a few times along the way? I really, really hope not. What I’ve learnt over the last few months as I’ve started to make plans and enjoy a few more things again, is that I need to recognise when enough is enough. When I might be trying too hard, pushing myself, to be the old me. Forcing myself into situations just to try and be “normal” is not the answer. It usually results in tears and the days of anxiety and the need for quiet time away from people in order to gather my thoughts again. I’ve had to pass on events that should be the happiest days with friends; christenings (yes, those are particularly hard ones to navigate), Birthdays, and most recently the evening part of my best friend’s hen weekend. Not because I’ve ever wanted not to go, not for one second, but because I can’t. I can’t put myself in a situation that could see me lurch into a panic stricken ball of angst in the blink of an eye. One that would see me bursting into tears and running from a crowded room in the fear that other people might see that I’m not myself, that I can’t cope with ordinary “fun” situations; not without anxiety, and not without that guilt. I’m so fortunate that our friends have been both patient and understanding with us in our grief for Teddy, and of the cocktail of emotions that bubble over in the aftermath of the loss of a child. I can only hope that they will continue to be as patient and kind with us. I can also live in hope that as time passes that anxiety begins to ease in certain situations; that once I’ve lived through the first time of experiencing everything “normal” again that it will hurt less? I have to hope (if you can all just hope with me then that would be great). So as we hurtle into the glorious time of year that is our British Summer time, I feel as though I’m staring down the barrel of an entirely different Summer than I saw last year. Last July and August were a blur; we were six weeks since losing Teddy as the summer began. I busied myself with house projects; sewing and painting everything in sight. I saw friends if I had to, and our social calendar was less than non-existent. We enjoyed one day and evening at our friend’s beach hut, that was it; the limitation of our socialising skills over an entire Summer. This year; well, it feels different. I’ve already braved a hen, we’ve still got two weddings to go to before the summer is over, and a few other smaller things with friends planned. We are living life again; moving forward, not moving on. I’m actually smiling, and laughing; both of which I promise to try my utmost not to feel too guilty about….. Yes to all of this. Just that’s exactly how it is for us in this awful club. Just because we’re finding we can enjoy things doesn’t mean we’re fixed. We don’t move on as you say it’s forward. It’s kind of like the time continuum in back to the future; it split on a different path and that’s the one we have to travel whilst everyone else is on the old one. A beautiful post. There are no words to summarise my thoughts as I read your incredibly brave and eloquent words but my heart is bursting into my mouth and my eyes full with tears. You’re doing amazingly. A beautifully written post from one of the most courageous women I know (via instagram). Guilt is a horrible emotion but life wouldn’t be life without it. I think as time passes the guilt will fade. Be proud that you continue to be an amazing mummy to Teddy. His legacy lives on in you and your husband and all the good work you are doing for the NICU. You have helped so many people, I know you helped me massively when we went through a loss earlier this year. Like Siobhan says above ‘The best is yet to come’ and, trust me, we are all ‘Hoping with you’. Lots of love to a wonderful lady. Lovely words Elle sadly all too relatable for too many of us. I still feel that guilt 10 years on, but not all the time. Now when I marvel to myself that I’ve got through x number of days completely normally I instantly feel guilty that I haven’t been feeling guilty! Riding an inflatable unicorn is a good start….Teddy would be proud you are starting to live life again one step at a time. I’m so glad that my words have resonated with you. Sending all of the love and light. I’m just starting to feel “normal” again. I miss the old me but if I’m the old me my little Tilly wouldn’t have been born. I lost my little Tilly nearly 11 months ago she was stillborn on her due date. I love reading your blogs it makes me feel like I’m not the only one.